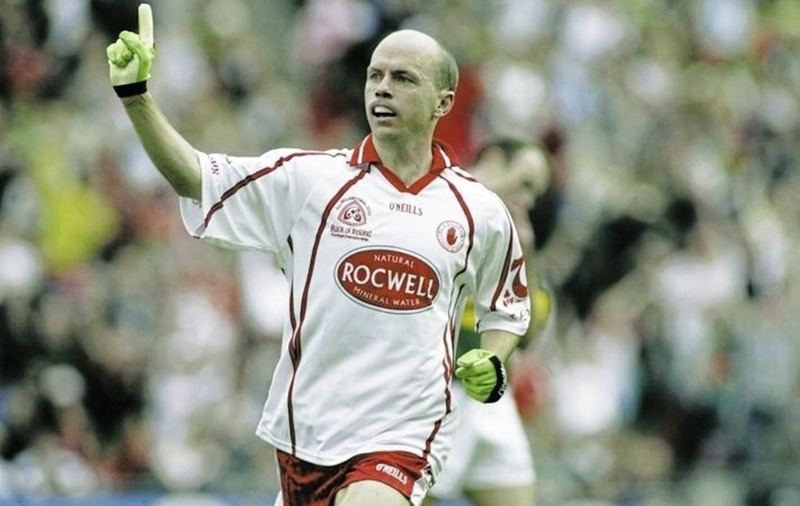 IMAGINE a Tyrone senior football forward line of 2003 that had Brian Dooher, Brian McGuigan, Stephen O’Neill, Owen Mulligan, Peter Canavan – and Rory Gallagher. That is probably the greatest forward line ever in Ulster and Donegal boss and Fermanagh native Rory Gallagher would have been there, if his father Gerry had not decided to come back to his native Fermanagh from Tyrone in the mid-to-late 1970s. Rory Gallagher was coming to his peak in 2003 after scoring 3-9 in the Championship against Monaghan the previous year and would certainly not be out of place in the aforementioned company. 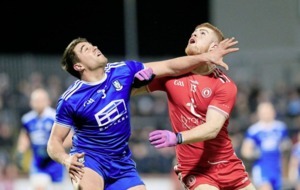 There is an even closer Tyrone connection as Rory’s mother Deirdre Kavanagh hails from Ballygawley and his uncle Eamon Kavanagh was an Errigal Ciaran stalwart as well as an Irish League footballer, remembered as an exceptional striker of a ball. So there are really deep Red Hand genes in the man who was born in Belleek, but would have been eligible for a pretty good Donegal team had he been born about 600 metres to the north. And while Gallagher does not speculate on what might have been in a Red Hand jersey, he is keenly aware of the deep genetic Tyrone connection. “My mother Deirdre was born and bred in Ballygawley and lived there right up until she got married to my dad Gerry,” he says. “He was teaching in St Ciaran’s, Ballygawley in the mid-1970s and he was playing for Ballygawley along with Mickey Harte and Paudge Quinn before they formed Errigal Ciaran. “He actually went back and managed Ballygawley to a county final in 1989 and I was at the match even though I was very young. “I was also up at a number of their training sessions and Paudge Quinn was the big player at that time. Coalisland, who had Damian O’Hagan and Ciaran Corr, beat them. His uncle Eamon was playing with Errigal Ciaran and the young Rory also went to see him playing. “He was a very good wing half-back, a good striker of the ball, and a good soccer player and I would have seen quite a lot of him in those years,” he adds. Gallagher followed in uncle Eamon’s footsteps by also lining out for some Irish League sides in the 1990s. “In 1993 Errigal Ciaran won an Ulster club title, which was a big achievement for them. Mickey Harte was still around that team although he was nearly 40,” he adds. So what does Tyrone mean to Gallagher? 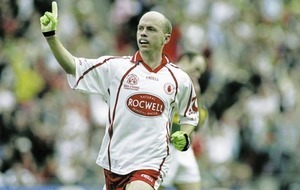 “What sums up Tyrone is the sheer passion and desire that they have for Gaelic games,” he says. “It was very important to the communities up there, maybe more so than to the communities in Fermanagh. ‘It was a huge part of my youth and I remember seeing Peter Canavan from a young age and I was very excited at watching a player of that quality. “His ability to win games on his own was uncanny, the influence he had on games and on that Errigal Ciaran team and then on Tyrone. 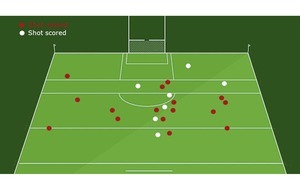 Gallagher then felt the might of Tyrone at first hand at minor level. “Mickey [Harte] was managing them and dad was managing us and there were some big tussles,” he recalls. Gallagher is asked what Tyrone bring to the modern game. “The 2003 team that won the All-Ireland was based on very successful underage teams,” he states. “That Kerry game in 2003, look at the hunger and passion they had that devoured Kerry and there was nothing going to stop them. “Tyrone’s sheer drive and relentless attitude was something else and that has carried on to this team. “There were times you were watching Tyrone and you felt they were never going to be beaten and, from 2003 to 2008, I personally thought they were the best team in the country even though they lost a few matches as well. 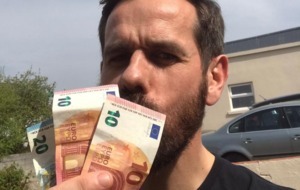 Next to Fermanagh and Donegal, Tyrone clearly still holds a special place in his heart. “I don’t remember much about it, but I was at the All-Ireland final in 1986 in Croke Park when they lost to Kerry,” he says. 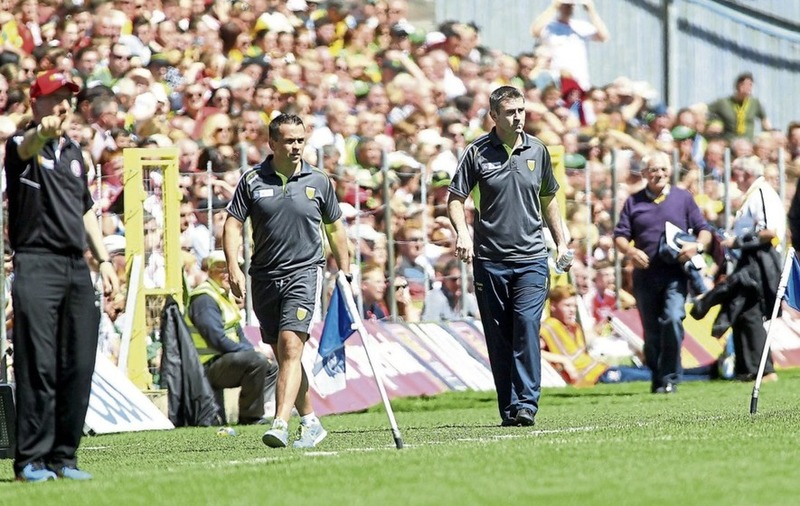 There is little doubt that the Red Hand still has a big part of the Donegal manager’s heart as he prepares for a severe test with Mickey Harte’s charges on Saturday night.